Coming from a family that frequently travels. I am always hearing about how much it cost if your carry on is over the weight limit. I understand how frustrating it can actually be. So, with a trip coming up for my mom, where she was going to be bringing me back goodies. I went on a quest to find a way to help her avoid all of the fee's at the airport for her shopping when out of the country. 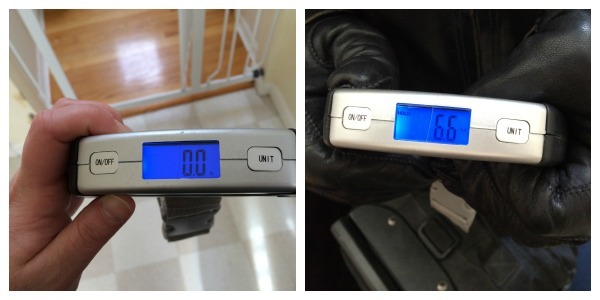 I came across the EatSmart Precision Voyager Digital Luggage Scale, and was so excited to be able to use this neat gadget to test out the weight of my mom's luggage. So, I put it to work. I think that it is unnecessary to pay the crazy prices that airlines charge for luggage overage charges, and everything. So as my mom packed her bags, I hung out with her and weighed everything. I also let her take this with her on her trip so that she could weigh everything coming back, to make sure she wouldn't be over any limits. To my surprise this was spot on. My mom brought her luggage to the airport and let them weigh everything, it weight to a T. Which she was very happy with. Also, it is nice because you don't have to worry about shutting this off. It has it's very own 20 second auto shut off. If you would like to find this item, please click here. Barbara's Hand Made Cookie Pies Review and Giveaway! I am a sweets lover! I think that is how I get through some of the more stressful days of being a stay at home mom. So when I stumbled upon Barbara's Cookie Pies I was so excited to check her website out! Barbara makes these cookie pies herself from a third generation recipe. These cookie pies start with a butter cookie crust, and then Barbara hand decorates them to make them not only the best tasting, but just absolutely beautiful. I was able to try the Peanut Butter Cup Cookie Pie, and sure enough when it arrived in the mail. It looked exactly the same as the picture. I waited very patiently for my husband to get home from work. He is the Peanut Butter Cup lover in the house hold. I let him take the first bite because I know that he is very particular on how his peanut butter cup combination is. His exact words, "If you give me a glass of milk, I will have this finished for you tonight!" He loved it! So then curiosity really got me, and I had to try it right then. I am not as big of a peanut butter fan as my husband, but I thought it was great. The cookie crust isn't to hard, or to soft. It is perfect for a crust, and even with how pretty it really is. The taste is just the most amazing thing. I have been left wanting to try all of the flavors that Barbara has to offer. This came in the mail very quickly, and had absolutely no damage. I thought there would be some sort of crumbling, but I was definitely wrong. I know that with Mother's Day coming up in another month, this would be the perfect gift for any mother. To find out more about Barbara's cookie pies, please click here. Nick's Sticks Review and Giveaway!!!! My family and I LOVE beef and turkey sticks. I hate getting them though, because I know how bad they actually are. The last time I bought a beef stick from the store I couldn't even eat it because of all the grease that was coming out of it. It really made me want to throw up. I do try to eat organic. Since I have been nursing especially, because I know what goes into my body, goes into my sons. And I don't want him to have anything bad going in to his body. I want to give him the best chance at life. I found Nick's Sticks, and was very interested immediately. I thought it was nice to see that the cows these sticks come from are all grass fed, and you can see on the website how well Nick takes care of his animals. I received four different types of Nick's Sticks to try. I first tried the Beef Spicy sticks. I loved that the ingredient list was all things I could pronounce, and nothing that I didn't know. When I took my first bite, I was so happy to not just feel like I was eating grease. This beef stick was not greasy at all. Though I like the spicier things in life, I loved the regular beef and turkey sticks as well. My son did as well. There are great to have on the go for your little ones to have in the car, or while you are out and about. Since becoming a mom, I have had my body change in so many ways. None of the clothes I used to wear fit the same now as they used too. Also, because I have become a stay at home mom, I really hate spending the extra money we could be using for other things on buying new and expensive clothes for myself. I would much prefer to spend that money else where. So, I began my search online for new shirts. Most of my shirts that do still fit me, are getting very worn out. Shoot, some of them I have had since my sophomore year of high school. I came across The Adair Group and couldn't believe my eyes. You see, they sell shirts at a very deep discount. When I started going through the site, they don't just have your average t shirt. 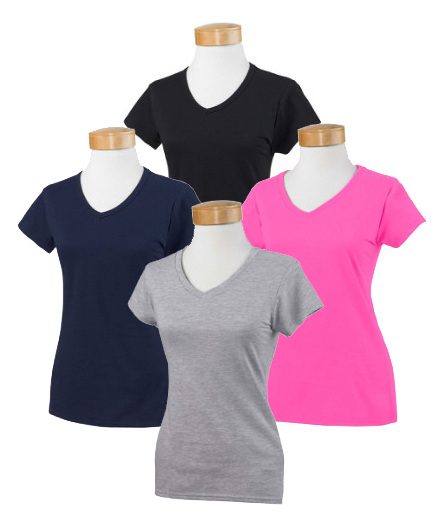 They have shirts in all different styles and colors. Not just for men and women, but also for kids. You can buy these shirts in bulk for as low as a dollar per shirt.. A DOLLAR!!! I am super cheap, so I am all about the lowest prices I can pay. Just think, any one who is like me is going to be going out to garage sales soon. I know there are people who sell their used shirts for more then that. For the same shirt. I was so happy with how fast my shirts came in the mail. And so excited for them to actually get here. I started to open my package before I even made it through the door. I pulled them out, and was thinking I would be finding flaws in these shirts because of how cheap they are priced. Nope, they were perfect. I couldn't see a single flaw. They are so soft, and nice. I absolutely love them. I can't wait to be able to go on my next shirt shopping spree, I will definitely be hopping back on line to get shirts from The Adair Group. You can find more about The Adair Group by clicking here. You can find this and many other pieces of jewelry here. I was given the opportunity to review Zipz Shoes. I got my package in the mail very quick after ordering. They were packaged very nice. I was very excited to see these shoes, because the concept just seemed different. You see, the great thing about Zipz shoes is that instead of having hundreds of pairs of shoes, you can just buy new panels and zip them on the soles. They are great for traveling. Zipz will even let you design your own pair if you can't find a pair you like in one of there many choices. I went with a slip on that had the comix design. A shoe that could go with everything. When I first tried these shoes on, I thought they would need to be broke in. To my surprise they were very comfortable right from the start. I wore them the whole day. Every where I went people were asking questions, and I was showing off the zippers on the shoes. I must admit, I was a bit nervous to try to unzip the shoe, in fear that it wouldn't zip back up. But it went very smooth. If you are looking for a pair of shoes that are very comfortable, and great for many occasions, and all weather, try zipz. They are also available in Hi-tops and Slip ons.As well as, Hermosa You can find Zipz shoes on twitter and facebook. I received the Ring Stix to test out, and I was so excited! Though, my husband wasn't home so I had to test this alone at first. Which was completely ok with me. In my package I received four stix and two rings. The great part about this is. If you have no one to actually play with you, you can launch this high up into the air, and just have a game with yourself. I had a great time doing this. And it only took minutes to figure out. When my husband came home from work, I took him outside right away, and made him play a game with me as well. He and I had so much fun doing this. I really feel like this game is a great game for any time. As well as a great game for family get together's. I also like that because it doesn't take much room, you can just throw it in your trunk of your car, and bring it with you anywhere. The beach and parks. I will definitely be spending alot of time playing with this with my nieces and nephews at our next get together! Are you looking for a timeless, classic and stylish pair of pants? Look no further! I have found them for you! Lee Jeans. And now for a history lesson, because I like to know where my clothes started. The Lee Mercantile Company was founded in 1889. Henry David Lee opened his first factory in Salina, Kansas. Mr. Lee started his business by producing dungarees and jackets. In 1913, Mr. Lee's company started to produce the "Union-All" jumpsuit. Soon after in 1920 came the first ever "Overall". This laid the foundation for Lee's growth early on. The Lee Company also launched the Buddy Lee doll in 1920 to be used for promotional use. This became a very popular doll to play with quite fast. Lee continued to introduce more great and new things with manufactured denim. They became well known for their zipper fly. By the 40's they had become the nations top brand for work clothes. Fast Forwarding to now, Lee's have great well made jeans and other products for everyone in the family. I received a pair of Lee Jeans to try, and I was just in love. The fit was perfect. Like they were tailored right for my personal body. There was a little bit of elastic in the denim to make it so they would hug you in all the right places. I could not have asked for a better jean. There was a great design on the back of the jeans, which I wanted to make sure the gems would stay on, and washed them a few times. They did great. I just love these. I can wear them on any given day, or dress them up if I need too. Lee Jeans are really perfect in every day. The zipper isn't as long as most jeans I have tried, which is great for my short stature, and perfect length. Harvey Prince has a great line of different fragrances. I received Temptress to try. The first thing I noticed was the sleek design of the bottle of Temptress. It can go with you any where. I like to throw a fragrance in my purse to be able to give myself a spritz if it is needed (especially with changing diapers sometimes). And with Harvey Prince, it can go with me any where. In my purse, diaper bag, or even in my pocket. I traded in my clutches for a diaper bag just over a year ago now. And I know that if I was going out for a night on the town, it would be no thing to put this into my clutch. To find this great scent and many more from Harvey Prince, please click here. Do you love a good board game once in a while? Trying to get the kids away from the tv and video games? Looking for a good way to spend time with the family? Then you really should check out Winning Moves. Winning Moves is a site devoted to classic games. As well as new, and retro games. Whether you are looking for a new game to play with your family. Or maybe one of your childhood favorites to play with the grand kids. They seem to have it all. 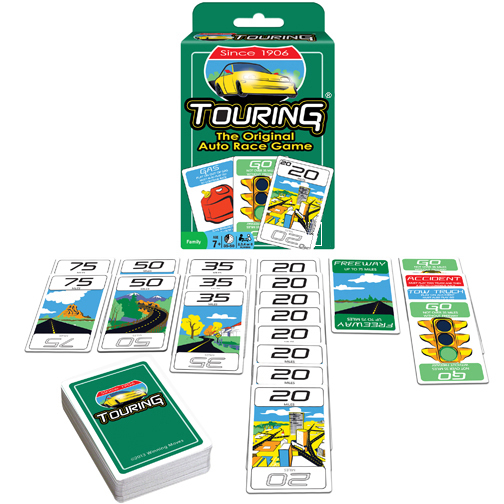 Touring is the original car racing game. I thought that this would be more focused for children, but even my husband and I enjoy playing this game. It can be fun to do with a family, or friends. Even just you and your husband needing something fun to do on those nights in. 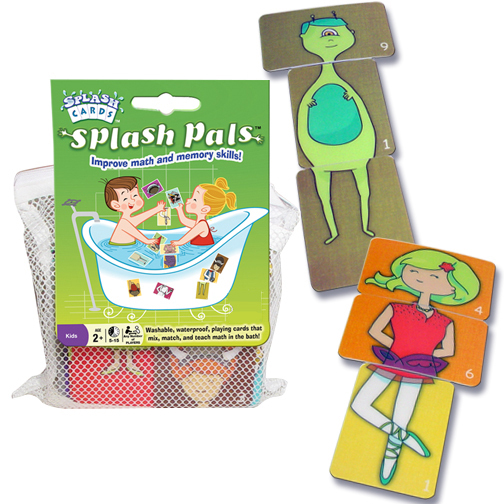 Winning Moves also provides adult splash cards so you can have your friends out to the pool, hot tub, or even on the beach and not have to worry about your cards getting wet. I love these! they are great, we use them in and out of the water. The best part, all these cards float to the top. NO CHEATING! I know that in our house, my husband and I already will have game nights. I always find myself looking for the fun classic games that I used to play when I was a kiddo, and I can never seem to find the good ones. So we end up just leaving and playing the same few games at home. This site though has so many of the great games I loved and enjoyed as a child. I also love how you can get the classic rubik's cube. If you are looking for something a bit harder then that,Winning Moves has other great Rubik's cubes. My son is really getting into bath toys, but I want something that is going to be fun, yet educational. 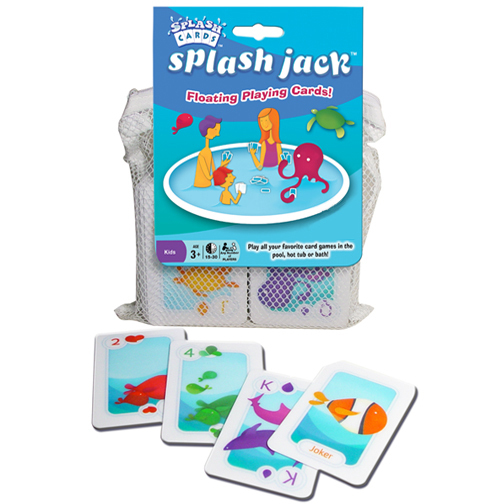 He also likes taking his bath toys out of the tub, and bringing his toys into the bath tub, with these cards I don't have to worry about them getting wet. And he thinks he is getting away with something great and mighty because he plays with them both in the water and out of the water. All while I can teach him to match and colors. If you are looking for that great game, or even puzzle for your game lovers, and puzzle lovers for Christmas, head over to Winning Moves to check out all their great deals! I received a few different Rosebud Perfume Co. salves to try. I would like to tell you about them. My personal favorite is the Smith's Menthol and Eucalyptus balm. It has a not to over powering smell of the menthol and the eucalyptus. So it has a slight tingle on your lips, but not so bad that you want to take it right back off your lips. It is also great for many other things, including: relief for cold sores, psoriasis, razor burn, insect bites among some of the few. My husbands personal favorite flavor wise is Smith's Mocha Rose Lip Balm. The smell is just marvelous. It seems like it is a perfect chocolate smell. And it helped my husband go from really nasty chapped and cracking lips to soft lips within one day of using it. He will not go anywhere without it any longer. The next flavor I would like to tell you about is the Strawberry Lip Balm. This has a great scent as well. My only downfall with this, is I do tend to lick my lips more when I smell something so great on my lips. Though it works just as great as any of the other wonderful Rosebud Perfume Co products. Brambleberry Rose Lip Balm is a great scent of a bled of wild berry flavors, which is sure to please! I must say, I think the tin for this one is super adorable as well! This lip balm also won an award in 2008! It is that great!!!! Now the last Rosebud Perfume Co. product I would like to tell you about is the Smith's Rosebud Salve. This has a light rose scent. This doesn't just have to be used as a lip balm. My husband loves this stuff because he has really dry skin from working outdoors in this cold weather. And with this great product that has been around for well over one hundred years, it really seems to help very quickly with any of the skin issues you have. It can even help you with minor burns. It is like a miracle in a tin! To find out more information about all of these great product's and many more please click here. I love chips and salsa. I love tortilla chips. So when given the chance to review RW Garcia tortada chips, I jumped on the chance. My ultimate favorite were the Salt and Vinegar. They had wonderful, not to sweet, but just right flavor. I didn't want to dip them in anything. Along with all of the great variety of dippers; RW Garcia had a wonderful array of Salt and pepper tortada chips. Which would look great next to any dips for any occasion. Being a new mom over the past year, I have learned SO much. I always want what is best for my son, and I don't like the thought of him not having the best mattress really bothered me. A baby will sleep on their first mattress for about the first four to five years of their lives. You don't want them to have some awful mattress. I started to do some serious research on mattresses after learning about my son having Cystic Fibrosis. It really made me look at life a lot differently. I found that most crib mattresses have chemicals in them, which I don't know how or why companies would do that. What I do know, is that makes me nervous for what my son is really breathing in at night or during nap time. I then after months and months of searching, found Lullaby Earth. As I started to look through their web site, I had come to find that they sell mattresses for your children that not only are chemical free, but also grow with your baby. I received the Lullaby Earth 2 stage crib mattress in the mail. I was first surprised by the mattress being so light weight. I immediately pulled the mattress out of the package, and was so amazed on how nice it looked. Clean and crisp. So, after pulling all the packaging off, I decided to look into the two sides. Was it going to be true? I pulled it out and started pressing on the mattress, with much help from my son I might add. And surely it was true, Lullaby Earth had made one side more firm for when your child is first born, and a softer side for when your child is into their toddler years. Making this mattress not only healthy, but also making it more comfortable and functional for a longer amount of time. I feel as if this mattress is of great quality. I also feel like this will last for many years to come. And even through baby number two if we chose to have a second child. You can find this and many more great products from Lullaby Earth here. I hate the look of traditional surge protectors, they are a common necessity in everyone's house hold now a days. Especially with all of our modern technology, but who really wants this large amount of outlets laying next to your end tables, desks, and every other place around your house. It just looks awful. When I discovered Invisiplug, I was so amazed with how well they blend with your hardwood floors, and wooden furniture. You can get the invisiplug in two different styles, and three different colors. You can get the standard invisiplug in a standard surge protector, with six outlets attached. Or you can get the deluxe model, which has six outlets plus two usb outlets. Which is the one I received. I hate having to plug in more things then what I need too. Alot of times I end up plugging my phone into my laptop to charge while I am working on it, because I simply just run out of space with my outlets to charge my phone near me as well. With this, not only do you free an outlet up for other things, you can also know that your phone charging is still safe by using this feature. The standard models retail for 14.99, and the deluxe model for 24.99. I do think that the extra ten dollars is well worth it for what you are actually getting. When I received the invisiplug in the mail, I was so excited to test it against my cherry computer desk to see if it actually did match up with out an issue. With wood grain colors it is hard to know if it is actually going to match up. I was so happy that it was the EXACT same as my desk. It looks so nice and elegant. I couldn't believe how well it blended in. For the price I really feel like invisiplug is a great value for the price, and with the three different wood grain choices you are all set with what you need. 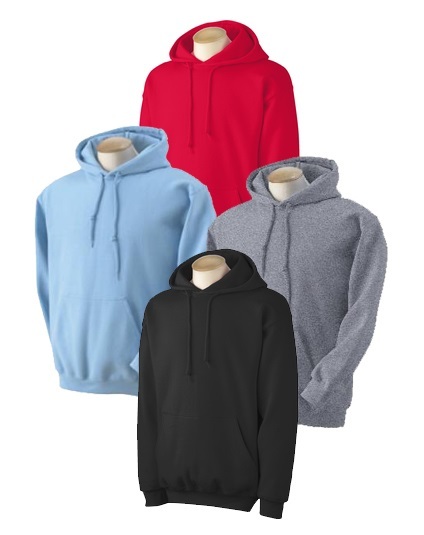 This comes in the three colors pictured above. As well as being able to find these at Lowes and on Amazon, you can also find them here. I just love Tank Tops, and other great fashions. My issue is, after having a baby though I am at my pre pregnancy weight, my tummy hasn't gone down completely yet. And it can be very hard to find cute clothes that fit me well. I stumbled upon 24/7 Frenzy and started looking through their online catalog. I just loved the clothes. They offer a wide variety of dresses, rompers, tops, bottoms, intimate wear, and sleep wear along with other things. These are all reasonably priced items. I chose to review the tank top as pictured above. I couldn't wait to get it so I could try it on. It took under a week for the top to come in the mail. I opened it up and immediately tried it on. This top fit GREAT! There was not one spot that looked awkward on my body. I felt great in it and my husband even agreed. It was wonderful. I will definitely be going back to 24/7 Frenzy to get more clothing soon! Kid Basix has a wonderful sippy cup to designed to grow with your little one. The Safe Sippy 2 is a great sippy cup to start your baby on when you feel comfortable starting sippys. It is great! There is no leaks, which any mom out there knows that finding a sippy cup that doesn't leak is such a challenge. This safe sippy 2 is easy to clean seeing how it is made with stainless steel. It is BPA and phthalate free. Which is important to me. I don't like the thought of BPA being in anything that my son uses, and I work extra hard to make sure that there is nothing like that any where near my little man. This sippy cup holds eleven ounces. I know my little guy loves to drink, and refilling a cup every fifteen minutes can get really old, especially when you are trying to do something. Another great feature is the handles. They are completely removable! So as your child can start to handle holding a cup better, or no longer likes holding their cups with the handles. Problem solved! Take them away. This sippy cup also comes with the straw attachment to make it able to grow with your child. Which I feel like it is very important. I know for myself, I like to keep the same bottles, and cups for my son. So if there is some difference, he doesn't have to have an issue with drinking. Another great feature is a travel plug! I don't know how many times, I have packed up a bottle or sippy cup for my son, and thrown it in his diaper bag, got to where we were going, only to open the diaper bag and see all of his things soaking wet, with an empty cup. It is so annoying. I end up having to clean everything back out. And if he needs an extra set of clothes for what ever reason that day, it is out of the question. This travel plug has proven to work great! I will not be going anywhere without this sippy for my baby. I have not seen something so magnificent on the market to date. You can find this and other great products from Kid Basix here.